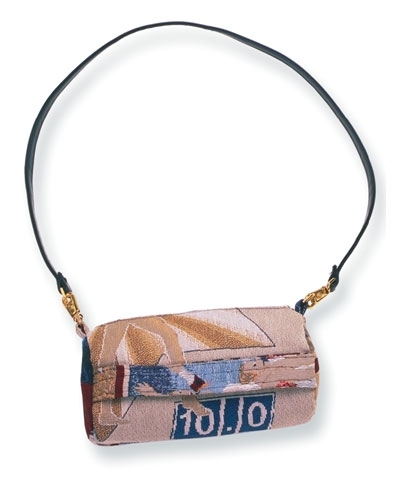 TEN-O Tapestry Hanging Bag. 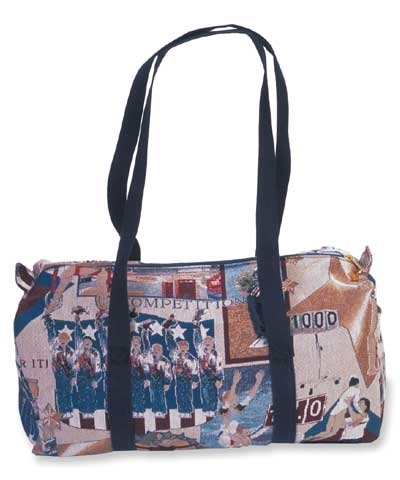 This unique heavy weight gymnastics themed fabric was designed by our graphics department for use in town and travel bags. 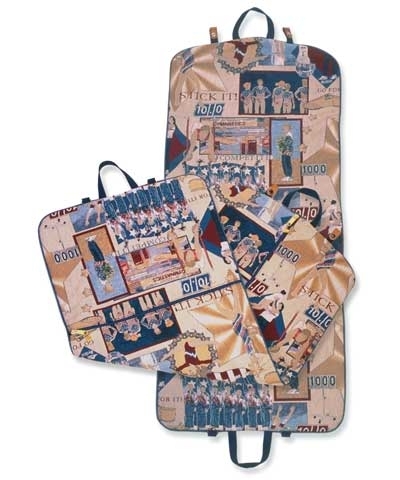 The hanging bag is 54"x24" and is lined in a waterproof fabric. A full length zipper makes packing a breeze. A half bag pocket on the other side adds versatility to this lovely travel bag. Add the Tapestry Over Night bag and it's the perfect graduation, birthday or coaches' gift.